Happy Friday! 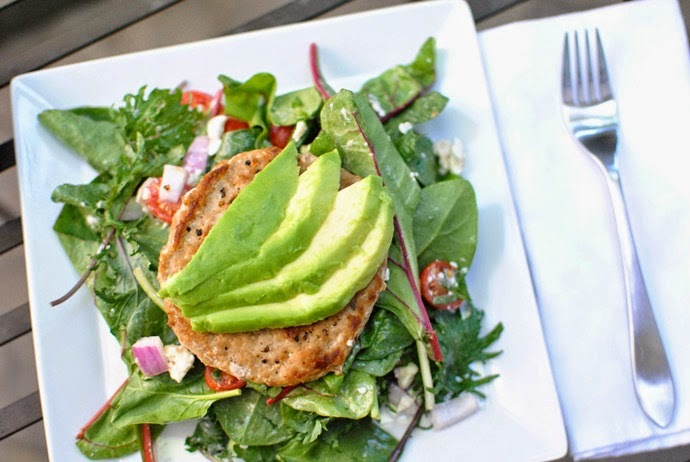 I don't often post recipes here (mostly because I don't actually cook all that much...), but today I thought I would share one of my favorite meals to make during the summer since it is light and fresh. In truth, I am rather lazy and impatient when it comes to cooking. I don't like to spend hours in the kitchen or make things that dirties several pots or pans. I prefer things that are quick, simple, and healthy (I try!). When I am short on time or want to get to the eating part quickly, this is one of my go-to concoctions. It is super simple (just the way I like it) and can be adjusted to be made with whatever veggies you have on hand. Plus, it is just filling enough and always leaves me feeling satisfied in a healthy way. 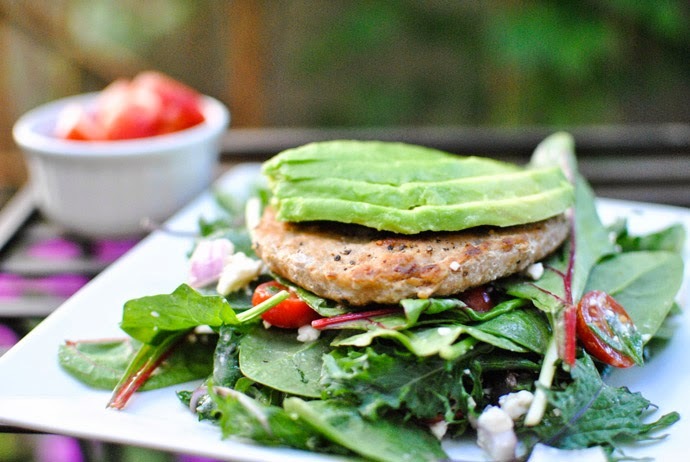 + Cook a patty of your choice and place on top of salad (I love the frozen chile lime chicken patties or turkey patties from Trader Joe's) *Bonus points for making your own patty! *Note: I usually prefer to toss my greens, veggies, and dressing together in a bowl before placing on the plate so that it is easier to spread the dressing around. 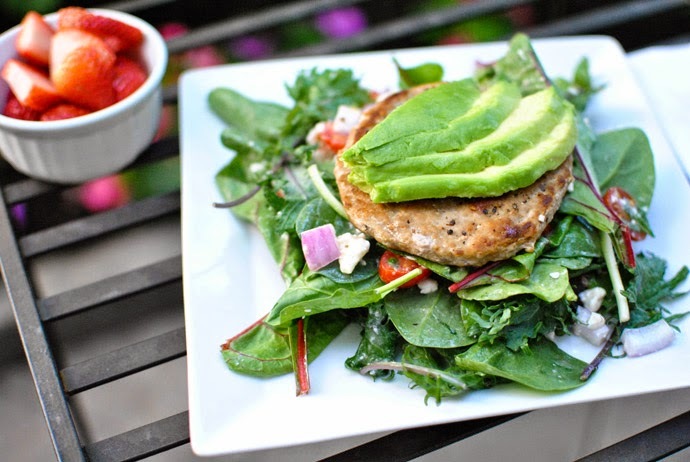 Also, this recipe can easily be made vegetarian by substituting a protein alternative. That's it! Easy, right? What I especially like about this meal is how you can really change it up depending on what veggies or extras you add. Sometimes I add drained black beans, bell peppers, cucumber, slivered almonds... Anything really! It is an easy formula to follow and insures that I get the veggies I need, but still makes my tummy happy! If you try this out, definitely let me know! 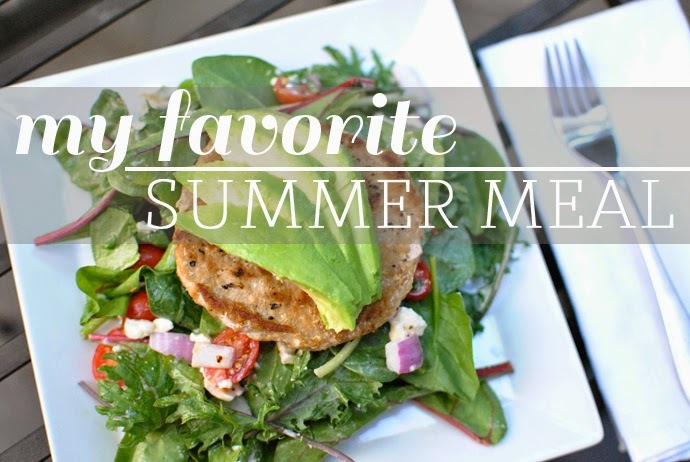 What's your favorite meal to make during the summer? How do you like your salads? This looks so delicious! 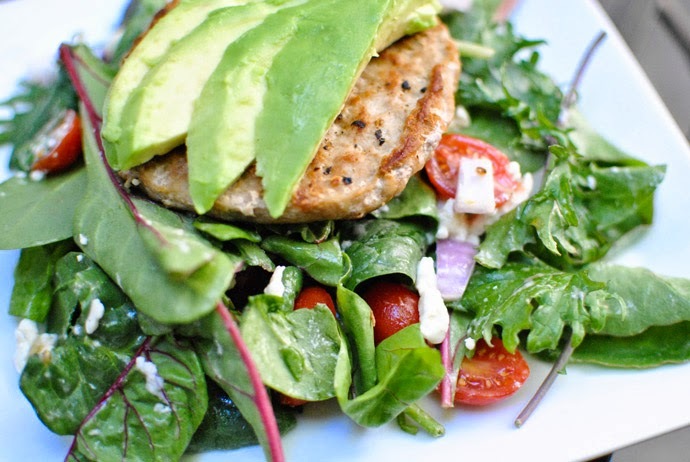 I love anything with avocado! Me too! I don't understand how people don't like avocado! Makes anything better. That sounds so good too! I love chipotle ranch. Yum.